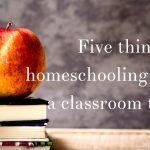 Does your homeschool need structure, but flexibility, too? 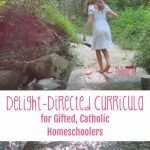 Try a visual schedule, perfect for bringing order to your Catholic homeschool day. This post contains affiliate links. Please see my disclosure policy for details. I received a full set of Rosary magnets for review at a discounted price. All opinions are my own. 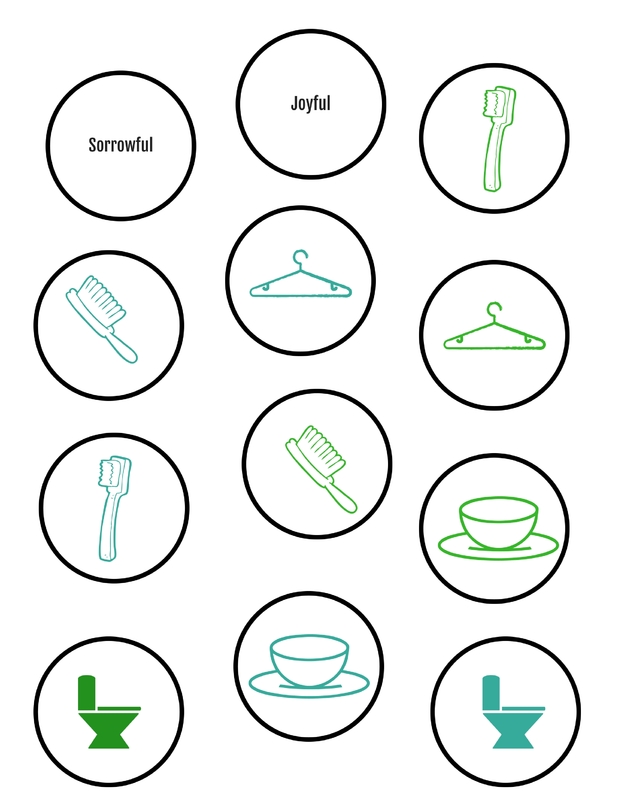 Some families flourish without a well-defined schedule. What we are is a house full of creatures of habit, seeking safety in routine and a clear plan for our day. Part of this is temperament, and the other part is skill set. There is a lot of talent in this house. It does not include executive functioning. Executive function is organization. It’s how our brains order ourselves, the world around us, and the tasks we take part in every day. For adults, executive function helps with long term planning – breaking larger tasks into smaller parts to avoid overwhelm. 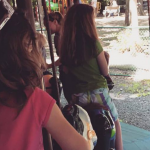 For children, though, executive function runs the gamut of processes. 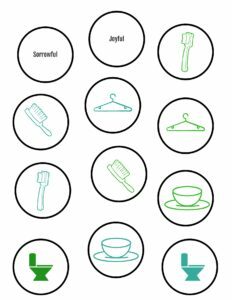 They need it for everything from self care and basic hygiene to decision making and impulse control. By the age of eight we assume most kids have it covered. 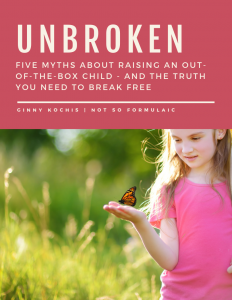 But add a touch of neurodivergence like an Autism Spectrum Disorder, ADD, or ADHD, and suddenly, executive functioning becomes much more difficult and complex. For us, it’s a twice exceptionality called sensory processing disorder, the inability to effectively process sensory stimulation. Executive function skills come from a region of the brain that is more sensitive to stress than any other. Even mild stress can flood the prefrontal cortex with the neurotransmitter dopamine, causing executive functioning to shut down. Ordering oneself – brushing teeth, going to the bathroom, getting dressed, even getting breakfast – is incredibly difficult when you’re filtering out the noise. That’s when a visual schedule comes in handy. From the outside it looks like defiance, but that couldn’t be further from the truth. My children are overwhelmed and distracted. Clear expectations keep them grounded and focused on a goal. I tried a more traditional approach at first: a giant chalkboard with days, times, and specific details laid out in 15 minute increments. I even penciled prayer time right in there, but we ignored it like we did everything else. The words were overwhelming – physical reminders didn’t exist. At best we paid little mind to the chalkboard. 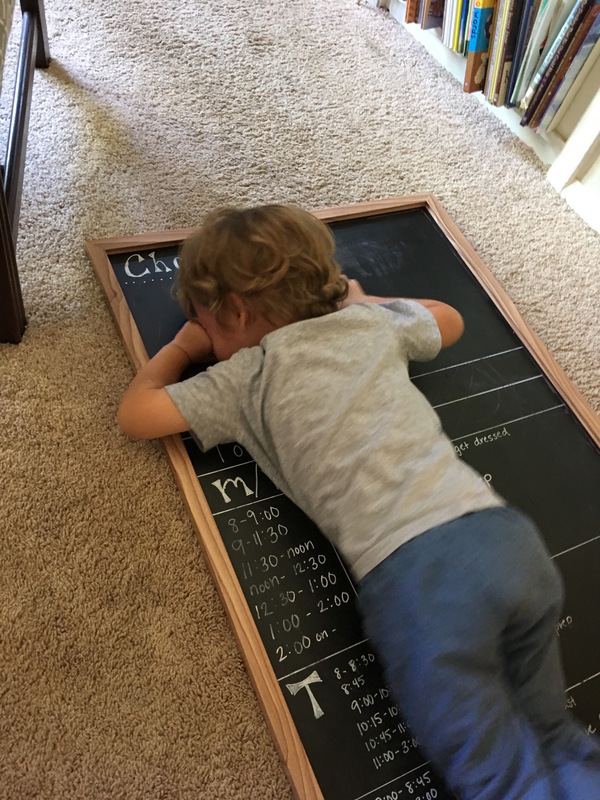 The toddler expresses his distaste for the schedule via tantrum. The visual schedule I created provides this. 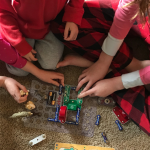 My children and I can glance at the board, see the symbols laid out on it, and get to work without any confusion as to what we’re doing, when. There are no specific timeframes – just a list of what needs to be done each day. Our schedule absolutely has an order to it, but the flexibility it affords is key. 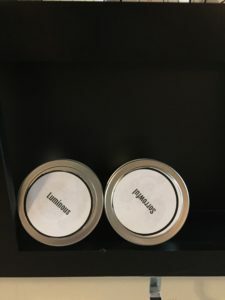 Did you notice the tins at the bottom? That’s where I keep our rosary magnets for prayer. I got a full set from The Little Flower Workshop. Handmade, exquisitely detailed, and absolutely beautiful, we can stand at the board, see the individual mysteries, and keep our thoughts focused on prayer. 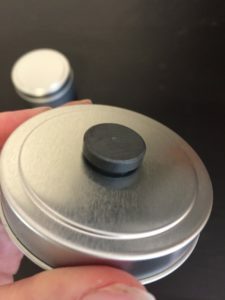 (Guess what – you can even win your own at the bottom of this post!). I definitely knew what I wanted – it just took time to assemble all the pieces. 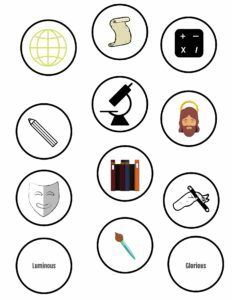 Here’s what I used along with basic instructions, so you can make your own visual schedule for your homeschool day. I wanted a magnetic, chalkboard surface, so I got this Magnetic Board from Amazon (it’s actually an Ikea piece, but I’m all about my Prime shipping). 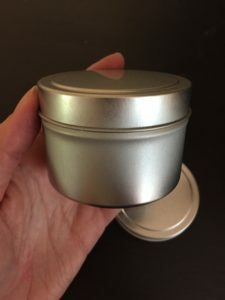 I wanted circular, visual reminders, so I ordered two sets of these tins. 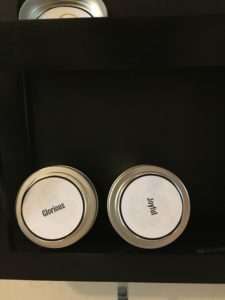 I wanted the reminders to be magnetic, so I picked up a set of Tuff Magnets. I wanted a concrete tool for prayer time, so I purchased these rosary magnets at a discount, for the purposes of review. Assembly was pretty easy. The Ikea piece fit together like, well, an Ikea piece. 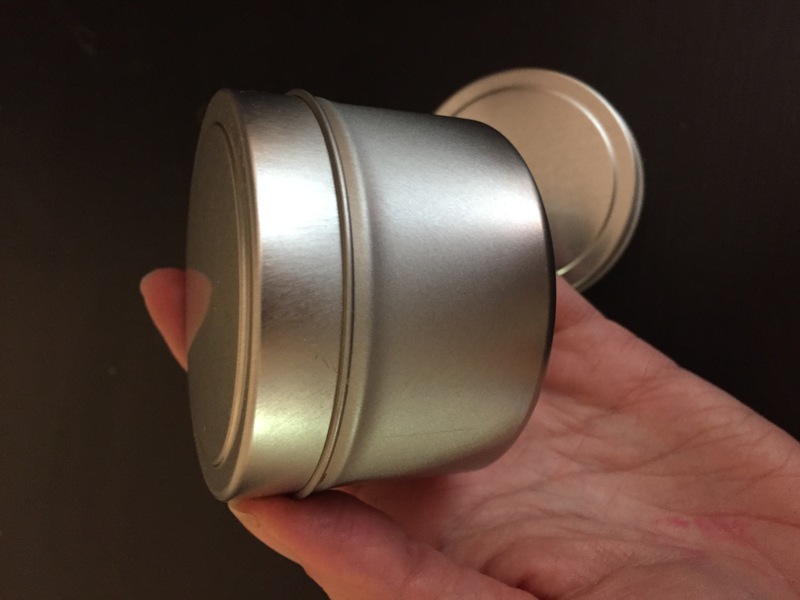 Then I took the lids from 20 of the tins (I’ll use the tins for another project – stay tuned!) 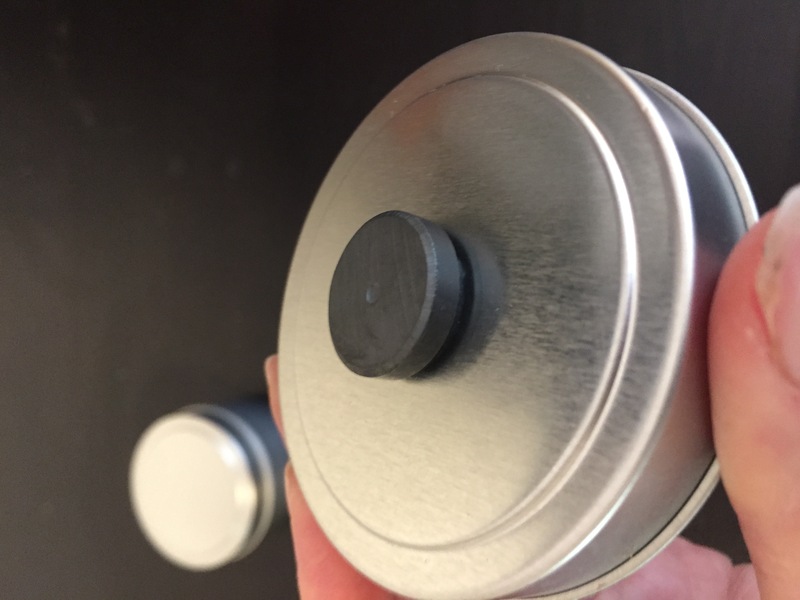 and glued magnets to the top. I printed the visual cues and cut them out, then glued them to the inside of the lid. 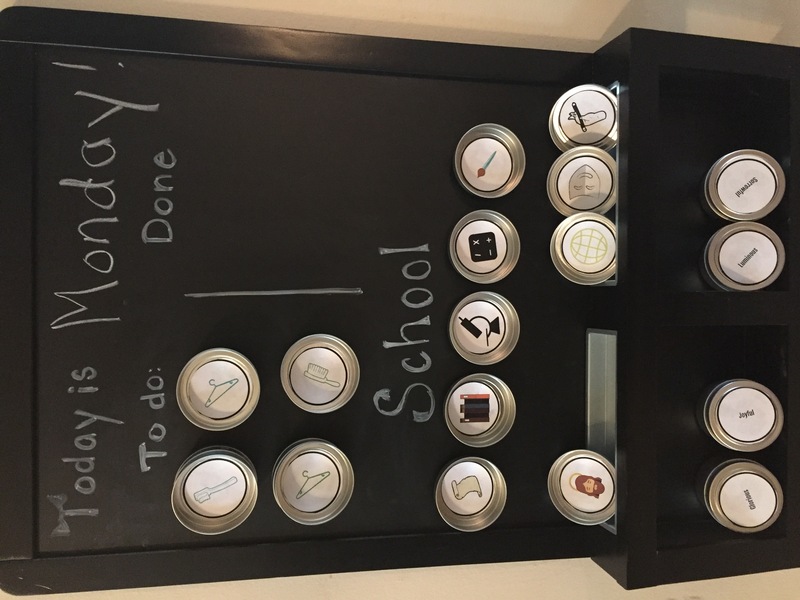 I divided the board into two sections – one for personal care, and the other for school. 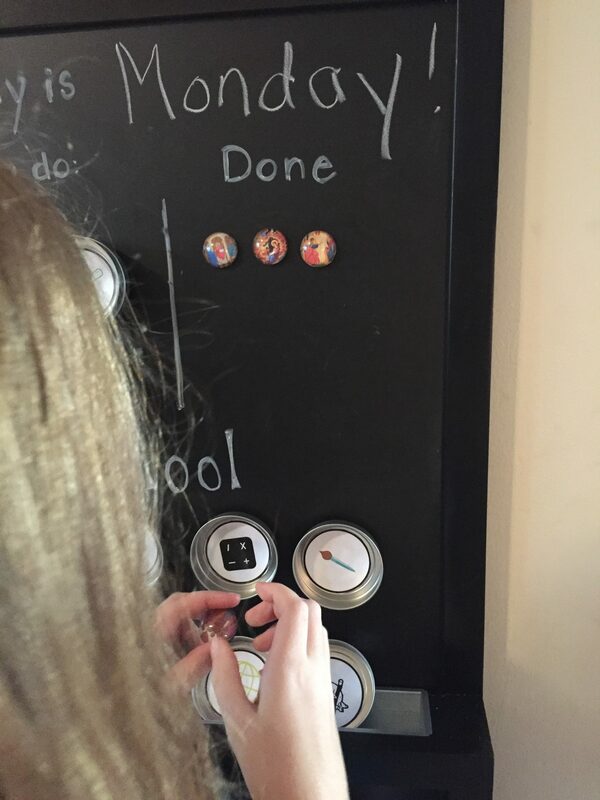 Each morning, the girls can move their magnets from one side to the other as they complete their tasks, and I can move our subjects into the line for school. What I really love, though, are the rosary magnets. 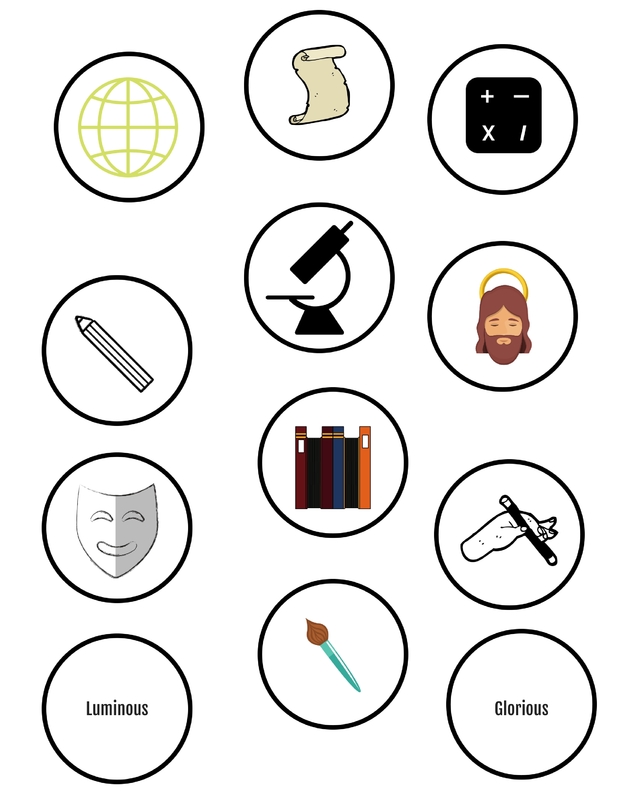 They are the perfect tool for family prayer. 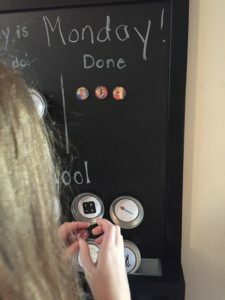 We say a mystery of the rosary every morning, placing the magnets in the “Done” section before the girls focus on personal care. 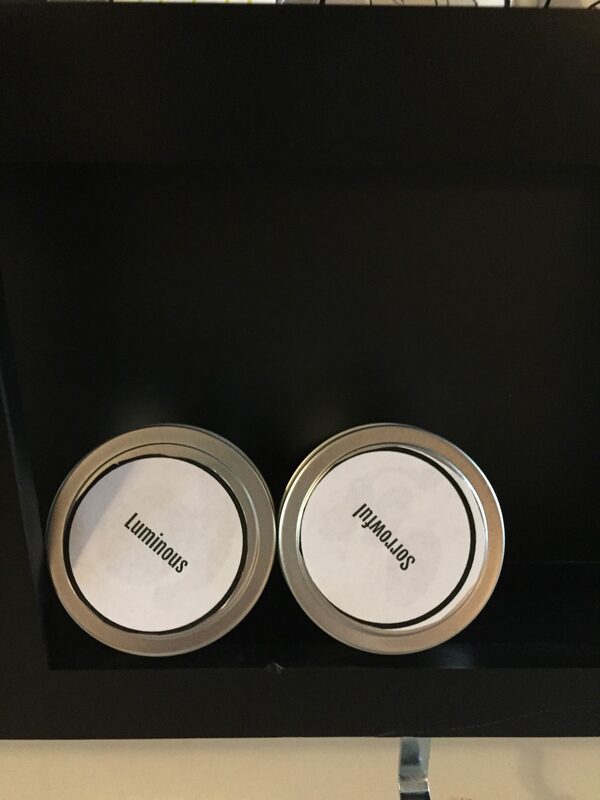 When we’re done we store them in the tins on the bottom shelf. 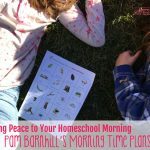 Our visual schedule is perfect – just what we needed for our homeschool day. 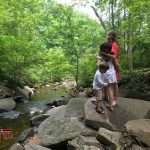 My kids can see what we’re doing and when we’re doing it, and they can take concrete steps to show what they have accomplished. On top of that, we have a physical tool to keep us focused during prayer. 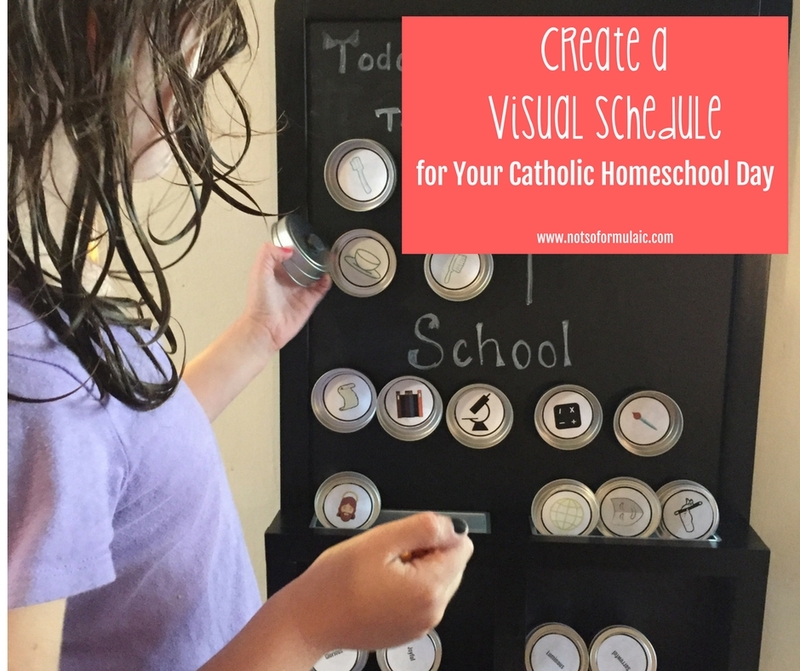 Want to create your own visual schedule, and win a set of Rosary magnets for your home? See the links above for the supplies I used, and enter to win right here! The photo of your kid on the schedule is too funny! But I love the idea of this! This is awesome! I love picture schedules and you make it look so nice! I love this! 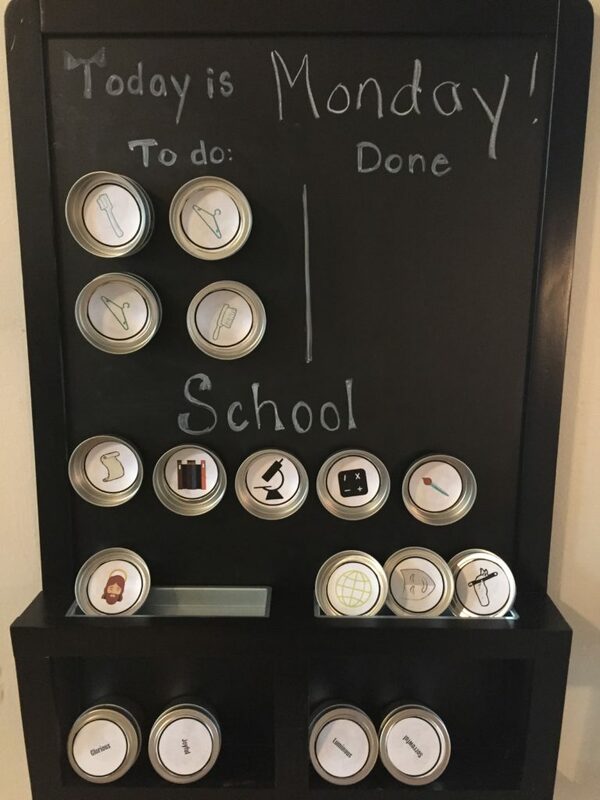 The rosary magnets are beautiful and though we don’t homeschool, I might use the schedule magnets idea for “getting ready in the morning” type tasks. This looks like a really great visual to help kids to stay on task and remember what is expected. Also inexpensive and easy to put together. Win/Win? What a practical idea. 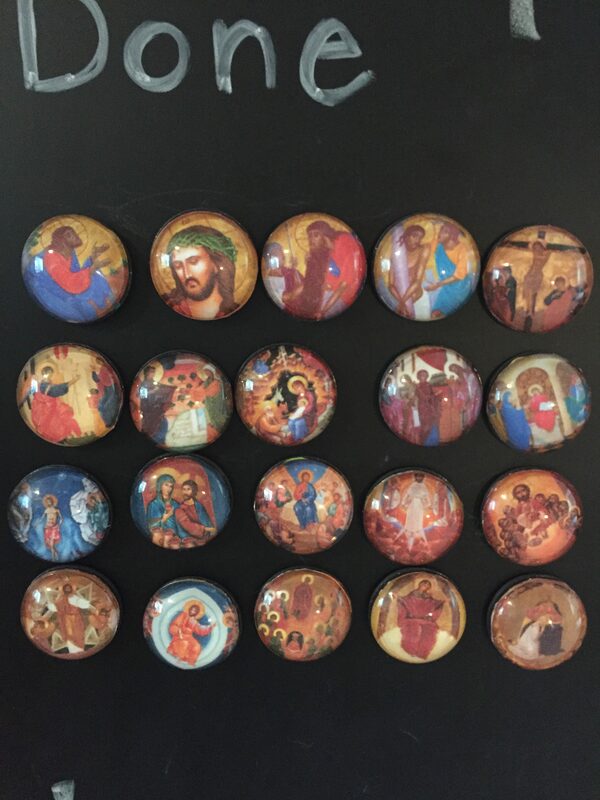 The rosary magnets are lovely and the rest so well thought out.